Home / Sports / Zidane: "Buffon did not deserve ..."
Zidane: "Buffon did not deserve ..."
Zidane says Buffon did not deserve to say goodbye to the Champion League by being excluded with red from the match that may be the last for the Old Lady captain. "I do not think he deserved to leave this way, but now there is no turning back," Ziz said. 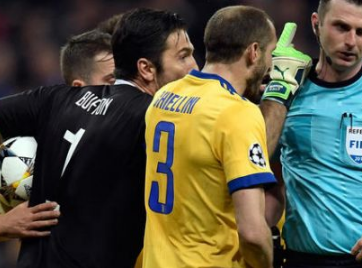 "What happened would not change or take something from Buffon for what he did in this match." "He is a fantastic player and probably not the latest in the Champions League," said Zinedine Zidane, who said that Los Blancos were right in the semifinals.